Good evening I am James Adderley and this is sports Monday. 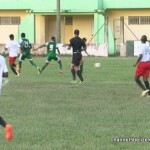 Verdes FC returned to its PBL schedule yesterday inside the Norman Broaster Stadium looking to re-establish its national dominance after a rather disappointing exit from CONCACAF Championship League play. 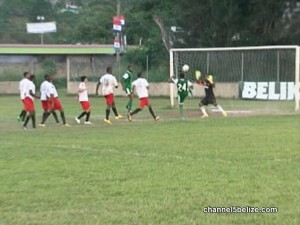 The Belize Defense Force was the obstacle to be faced, a team looking for a resurgence in the semi-pro league. Orlando Trapp of the B.D.F. comes up with the first real scoring threat when he launches this left foot that veers outside the post of the foal defended by Yusaf Guerra. Thirty Two minutes in the B.D.F. still in the ascending when Paul Nunez slices to James Hoare who gives the team a 1 – nil lead with a right foot push into the far corner. 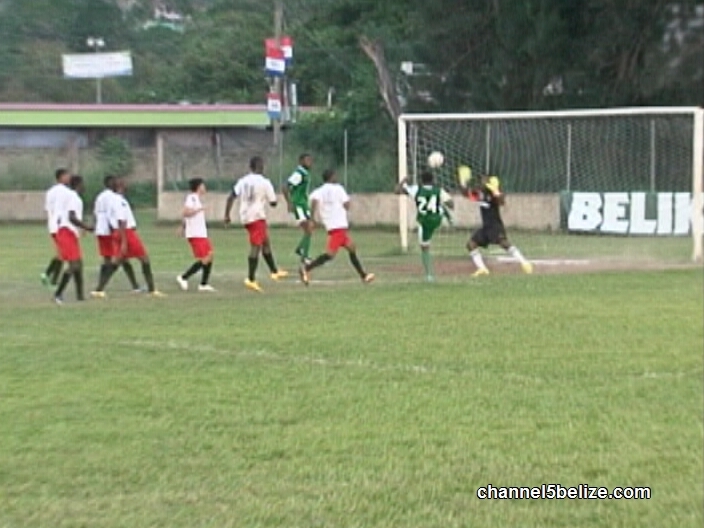 Ricardo Jimenez looks for the equalizer by mounting this individual effort but fails to hit the intended target. At the other end goalkeeper Guerra has to abandon his line to deny Shane Flores who attacks the goal with a burst of speed. Six minutes after intermission David McCauley launches this spot kick at goal that rebounds off the wall to Gilroy Thurton who might have been in an offside position but he hits the back of the net. Goalkeeper Tevin Gamboa leads the howl of protest but the call stands say Referee Christopher Reed. San Mendez looks to give Verdes the lead with this large distance dial that isn’t too far off. Shane Chucky Flores gets assist when he finds Paul Nunez whose header breaks the tie for the 2 – 1 B.D.F. lead. Folks Harrison Tasher comes up with a wicked bender off this set piece but Guerra comes up with a tough save. Verdes almost get the equalizer when Shamir Pacheco picks out Deon McCauley forces Tevin Gamboa to come up with a spectacular save. 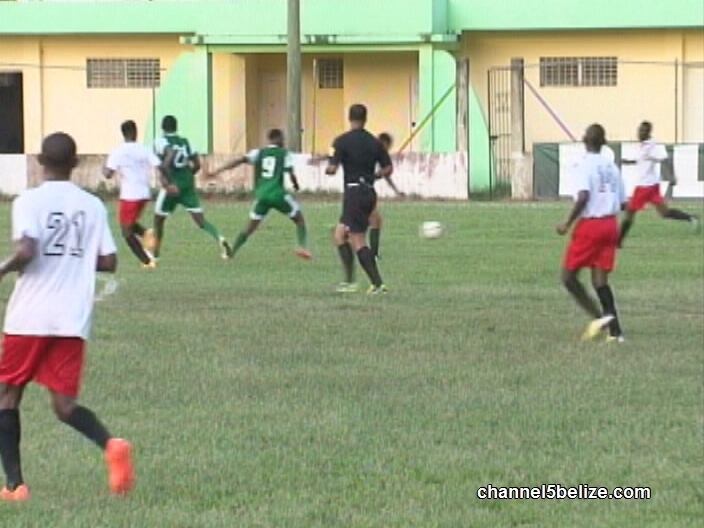 The last gasp effort fails as the Belize Defense Force grabs a big win. Checking the CYDP football tournament Westlake United and Kings Park Strikers settles for a 2 – 2 stalemate, Lake I Rising Stars and Majestic Alley rallied to a 1 – 1 tie and Exodus United sunk Survivors 3 – 1. The BECOL Basketball play Saturday night in U-23 actions MicRoe Light and Peace got past Spartans 55 – 42. 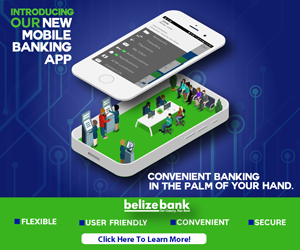 Belmopan crushed Invaders 45 – 31 in over 35 play while on the senior schedule Assassins need double overturns to edge Light and Peace 86 – 28 on a whopping 41 points from Winston Pratt and 16 points from Kurt Burgess.